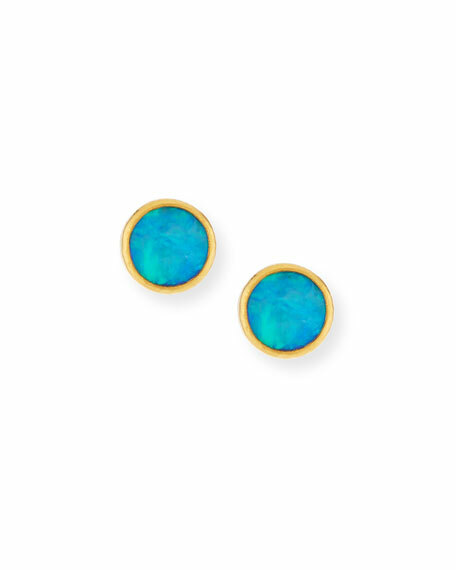 Amulet Hue stud earrings by Gurhan. Textured 24-karat yellow gold studs. 8mm round opal in bezel settings. 1.90 total opal carat weight. For in-store inquiries, use sku #2240028.